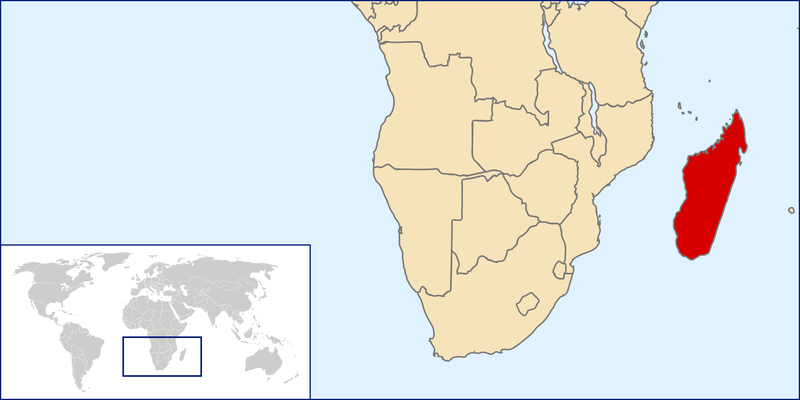 From pristine beaches to tropical rainforests, Madagascar, also known as the Red Island, is located in the Indian Ocean, off the coast of Southeast Africa. It is not only famous for the cartoon Madagascar, as many people would relate it to, but also for its rich biodiversity. The island has an abundance of natural resources and unique sites; however, no one has successfully managed to utilize or promote them accurately. 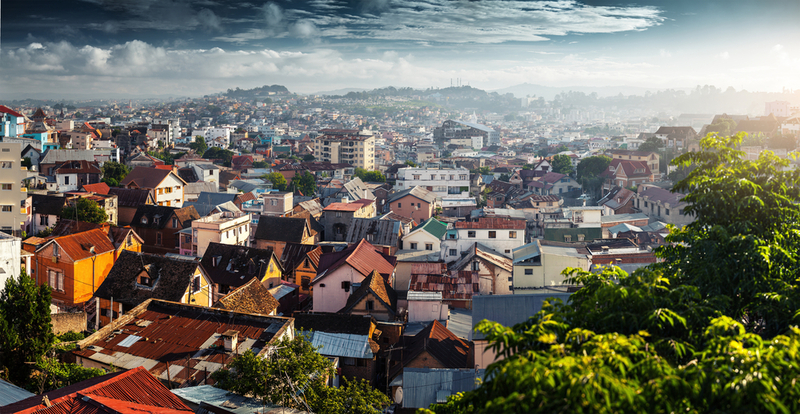 Since 2009, Madagascar has been suffering from political instability. The population is still hoping for a change as the government has been promising to improve the situation. This political crisis has restrained the development of the country, which includes minimal investment in Madagascar from foreigners. This is primarily because the country is unfortunately ranked as one of the poorest countries in the world. In this article, I would like to share the most incredible sites of my home country, but also, give you the desire to visit Madagascar, as I believe it is not the typical destination. Nosy Iranja, one of the most beautiful beaches in the world. Located on a beautiful island, Nosy Iranja splits in two as rising waters cover the connecting thin, white sandbank. The transparent turquoise water and the incredibly soft sand will transport you to paradise. It is also known as the Island of Turtles, as they come to Nosy Iranja to deposit theirs eggs. Many popular international magazines, such as Sports Illustrated, utilize the islands for photo shoots due to the perfect lighting of the site. Surprisingly, these beaches are rarely crowded and you can easily find your perfect place to tan in paradise. Nosy Be, a neighboring island also has wonderful beaches and has almost been adopted by many Italians as a prime holiday destination. Madagascar is home to some of the richest rainforests on Earth. More than half of Madagascar's species are found in these forests, which exist on the east coast of the island. 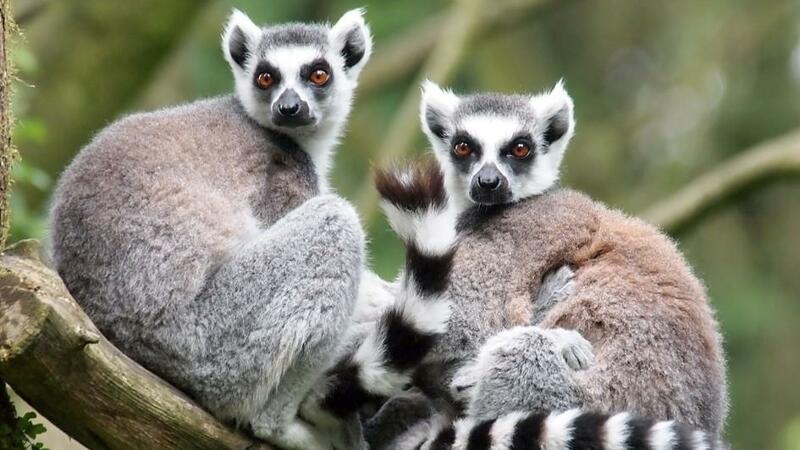 What is wonderful about this country is that most of the flora and fauna found there are endemic species, such as the beloved lemur. However, the tropical rainforests have been degraded and largely deforested over the past centuries. The problems that Madagascan rainforests face today can be traced back to the nation's colonial period. When France colonized the island in 1896, they converted much of the forests into coffee fields. Thankfully, Madagascar has maintained a great deal of natural resources, including: rosewood, vanilla, Edelstein and gold. However, a very important issue that the country is facing right now is that foreigners, mostly Chinese, come to Madagascar to export these resources illegally. The exportation of rosewood has become an uncontrollable trade, which has already destroyed a great part of the North East section of the rainforest. The Alley of the Baobabs is a prominent group of baobab trees lining the dirt road near Morondava, located in the west coast of Madagascar. This incredible landscape draws travelers from around the world, making it one of the most visited locations in the region. 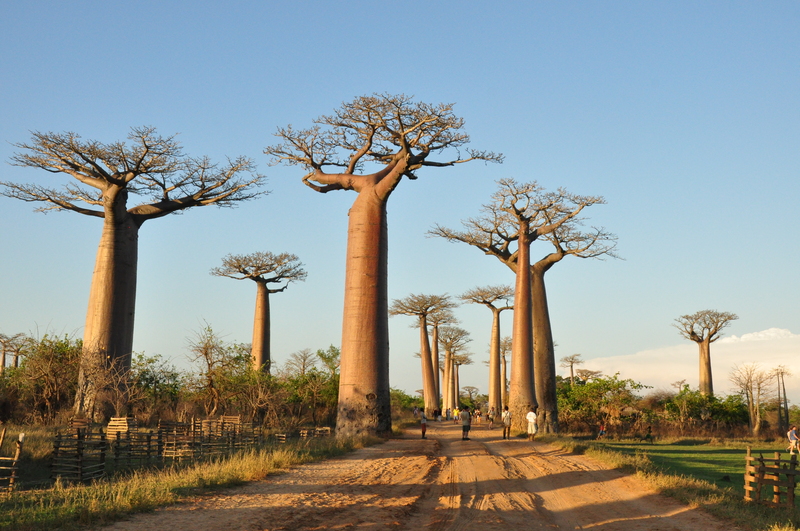 The dirt alley is bordered by baobabs more than 30 meters high and more than 800-years-old. The sunset landscape is breathe taking, so beautiful it almost feels surreal. Tsingy de Bemaraha Strict Nature Reserve is a national park located in the northwest of Madagascar. The park has been a UNESCO World Heritage Site since 1990, due to its unique geography. The Tsingy are karst limestone formation, in which groundwater has undercut the elevated uplands, gouging caverns into the limestone. 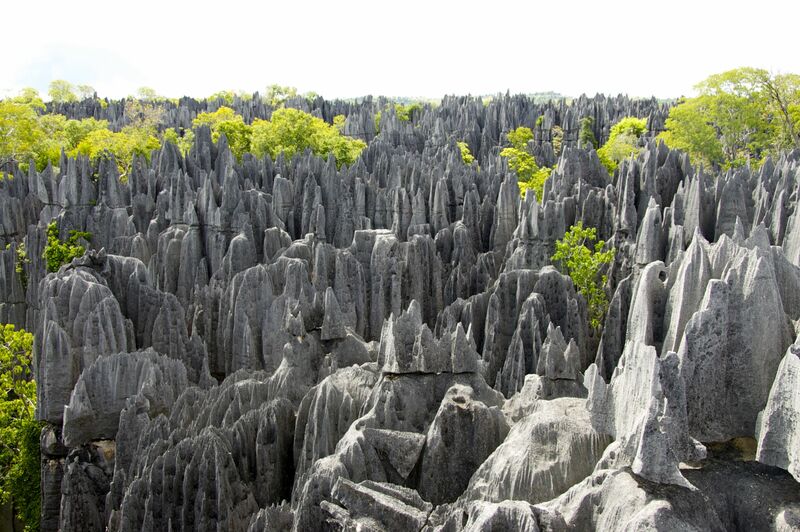 Thanks to erosion, the magnificent Tsingy is patterned vertically as well as horizontally. This site is simply unbelievable due to the artistic shapes that the nature has formed. If you are adventurous and want to escape from the urban life, Tsingy is the perfect place for you. 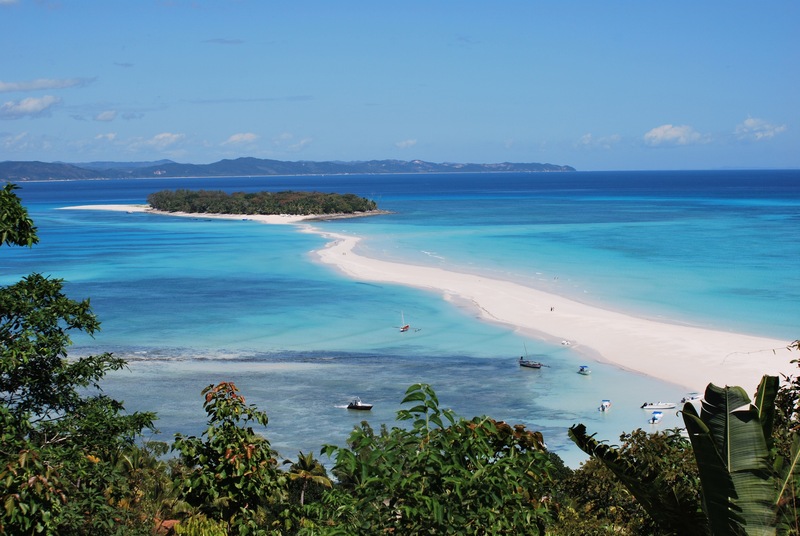 Madagascar has a massive number of natural hidden gems that many people are unaware of. I hope that after reading this article, you will stop to think as Madagascar just as the movie, but as the incredible country it is. Born and raised in Madagascar, Karen has studied in London and in New York City before attending the American University of Paris. She is currently doing a MA in Global Communications and speaks French, English, and Malagasy. Karen loves traveling and discovering new cultures. With two of her high school friends, she founded a charity association called "Fitiavana", which mainly provides food and love to less fortunate Malagasy children and works directly with orphanages and hospitals.